When a customer calls about their experience with your business, it is more likely that it is to fix a problem than to compliment you on your service. We are all used to hearing “The Customer is Always Right.” Still, the point of this saying should not be misunderstood. In my classes, I help service agents understand how even if the customer is not always right- they are always important. How important you make your customers feel can be the difference between a viral complaint and a loyal following. For educational instructor-led Customer Service classes in Chicago and Los Angeles call us on 888.815.0604. Winston Churchill once said, “Tact is the ability to tell someone to go to hell in such a way that they look forward to the trip." When you are encountered with misinterpretation of your service, product or terms, how do you gently start to correct a misunderstanding? There is a process to good diplomacy and dispute resolution yet in this article, we will cover 3 ways to begin resolving requests by starting positive! First off, Ms. Peters was given no credit for anything she did right. Second, she hears no reason or policy that confirms what right looks like so she may claim, “But I didn’t know!” and/or feel still justified. Third, when she is told there is no other option, if she believes she is yet a good person, she will look for an exception or someone who might show her more grace. In Dale Carnegie’s book, How to Win Friends and Influence People, he describes that even a villain will see his or herself in a justified way when being corrected. Instead of waiting for your turn to tell your customer what they did wrong or label your corrective news as good and bad, focus on building rapport with your customer first so that when you educate your customer about your policy, what your system reads or how typically a scenario happens, the customer is in a more cooperative state to resolve and look at suggested solutions. "Sorry, you are mistaken. This does not work like that. You didn't..."
Which statement makes you feel validated and which statement puts you in a defensive mode? Here are 3 great ways to start positive before educating your customer on how you can best help. Compliments are the easiest to give but they must be sincere. You can compliment someone on their tenacity, intelligent questions or even for bringing this challenge to your attention. You can compliment someone for their name, their appearance, or their handwriting. Compliment the fact that this person is your customer! It’s not that hard! Just be sincere. Your question is very important. I am glad you brought this to our attention. We appreciate this feedback as we continue to improve! First of all, you have great taste! I so appreciate your patience. Just remember any compliment you cannot sincerely mean will affect its effectiveness so use what applies and avoid saying the same compliment to everybody or every time you are about to give correction because the compliment will lose its charm! For more tips on your ability to use compliments, I highly recommend, “How to Make Friends and Influence People” by Dale Carnegie. While living in Japan, I learned why Japanese culture is considered one of the most polite cultures of the planet. To show thanks, they may even use the word sumimasen which is actually the same word to express ‘excuse me.’ When leaving work before one’s peers, you say “osakini shitsureishimasu" which means "it is rude of me to go ahead of you." There are so many examples of this politeness but nothing shows you the extra effort they will make to promote harmony more than how they avoid saying the word “No, you are wrong.” In Japanese, I might gently grunt “ie” or simply smile or at least pause to think about what someone said for a couple extra seconds so I can say, “Wakatta” which just means the very neutral response, “I see.” So in essence, I have not said a direct no and I am not being disagreeable because I thought deeply about it and finally, I showed that I understood and only after that would I give the bad news. How extra considerate could one be! “I see” is a neutral acknowledgement that does not condemn or endorse a statement that is said. Being understood alone gives a positive impression on how you care about the customer’s request. I can see how this will affect your experience. I respect your feedback on this. I understand (time/cost/quality) is important to you. I realize this is critical for your business. I see this is urgent. I know you are eager to get this in time. I can certainly appreciate this amount is challenging. I know this is important for you. I realize this is a lot to handle at once. Imagine you are playing volleyball and the game is getting close. You hear a weak voice behind you, “I got itâ€¦” then you hear a voice to your left that is strong, “I GOT IT!” Who are you going to pass the ball to? When someone has a challenge or is in crisis, he or she wants to find someone to intercept who is confident he or she can do the job and not place them in a state of suspense. A suspense state makes me wonder, “Can she do it? Will he help me?” When an agent says, “Let’s see..." “I’m not sure but I’ll check...” “I’ll try/I’m trying to do (this) for you,” it conveys a level of powerlessness and even some incompetence so a customer may press for someone with more authority to ensure they get the matter handled as best as possible. To show your willingness to help begins with confidently stating, “I can help you.” “I can help you” is not a guarantee of doing whatever is asked but it is stated upfront to assure that whatever the request, the customer has reached a confident, competent and willing party to intercede for them. Even if the customer has the most irrational request, for example, “Change the system/Let me speak to the president now/Give it to me free!” By starting with “I can definitely help you with your question/request” gives them a good sense you are working on their behalf even for something they do not qualify for. Of course, by getting them in a less defensive state, you can later qualify them for the criteria they would have to meet to get any unreasonable request met and before giving them options, you can educate the policy or terms that apply. You are still helping them see what their options are. You definitely can help! I am happy to help you with this. I want to make sure we thoroughly investigate this for you. I want to make sure you have all the information you need to choose the next steps. I am sure we can help you with this request. I want to make sure we get this corrected in time. I want to make sure this is done in full compliance with our policies so that you can get this done right. I can definitely assist you with your question! I am confident we can fix this for you. I can take care of you from here on out. I will make sure we get to the bottom of this so you can see your best options moving forward. I want to go to bat for you on what we can do. These 3 ways to start positive are just the beginning of resolving your customer’s need to feel important and advocated for as a valued customer. These starter statements are buffers you can use anytime you hear something contrary. “I appreciate your thoughts on that.” “I respect your candor.” “I know you mean well.” When you add two from each category, you have tapped into Winston Churchill charm in diplomacy and you will notice that it creates a better relationship than telling someone how wrong they are. In the case that an issue is the company’s fault, they can see that you gave them positive credit at the outset of the investigation. 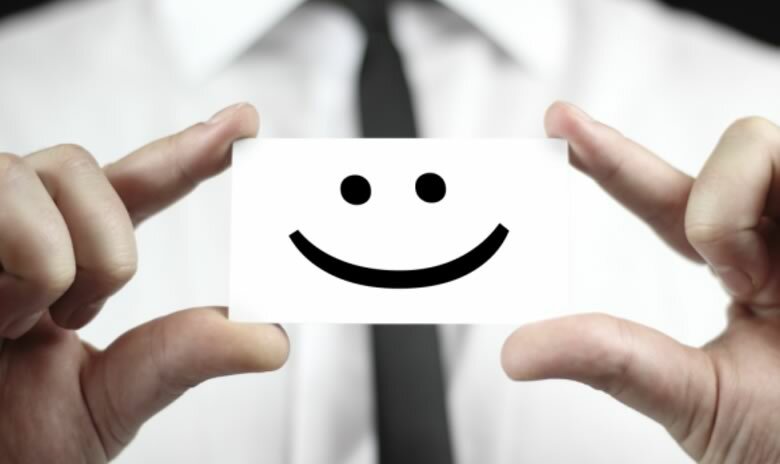 Start positive and no matter the outcome, you can ensure a positive impression of how you care about your customers. Have a group of customer service people who are low in morale? We can provide an onsite Customer Service class at your offices. Obtain a quotation today! Review our past student testimonials.